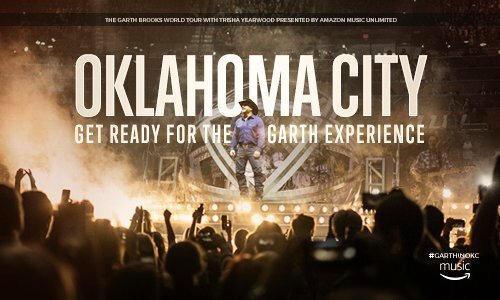 Make this a concert you will never forget by pair your Garth Brooks concert tickets with a pre-concert lunch or dinner at Mickey Mantle’s Steakhouse, known in OKC as THE pre-concert destination. Dine with us before the show and enjoy complimentary limo service, courtesy of Backstage Limo, to and from the Chesapeake Energy Arena. Limo service is available for both shows. We are opening early for LUNCH starting at noon. A food & beverage minimum will be assessed to bar reservations only. All other seating in the bar & 7 Lounge will be available on a first come first serve basis.